Welcome to the Family Enrichment Center of Seattle (formerly Family Psychotherapy Practice of Seattle) website. We are a private counseling practice, home to David L. Calof, and we provide professional and public continuing education programs. An estimated three million Americans engage in some form of self injury. Incidence rates are increasing, especially among adolescent and young women. Without benefit of specific training, clinicians’ countertransferences, misconceptions, and lack of information about chronic self-injury can misinform clinical judgment leading to exacerbation of self-injurious behaviors. For adolescent and adult survivors of abuse and neglect, while suicidal ideation and frank suicidal behavior may coexist with patterns of chronic self-injury, clinicians often misconstrue these acts as expressions of suicidal versus self-regulatory intent. Such a failure of empathy can lead to iatrogenic exacerbation of the client’s self-injurious behavior. Chronic self-injury in such patients is better understood as an attempt to adapt to and manage a difficult existence, than to end one. Survivors of childhood abuse and neglect most often use self-injury as a way to manage emotional states, body states, cognition, and psychological function. The motivation for self injury often is complex and variable. Personal rationales for self-injury often are “trance logical” (e.g., “hurting will relieve the pain,” “pain is pleasure,” “I can keep you from hurting me by hurting me first/worst”). Self-injurious behaviors are trance-based (i.e., dissociated from their rightful sensations, affects or knowledge). Client expressions of severe or chronic self harm can trigger primitive countertransference and counterresistance in even seasoned clinicians. Unexplored countertransference reactions, misconceptions, and lack of information about chronic self-injury can misinform clinical judgment and lead to iatrogenic exacerbation of self-injurious behaviors. Through lecture, discussion, clinical examples, and practical exercises, the presenter will explore the origins, motivations, logical properties, and clinical management of self-injury. The presenter will describe typical motivational frameworks for self-injury among adolescent and adult survivors of abuse and neglect, along with guidelines and strategies for intervention illustrated with ample case material. Building on this theoretical basis, participants then will engage in powerful supervised exercises and feedback sessions designed to: 1. clarify their experience of client self-harm, 2. explore idiosyncratic reactions, and 3. identify and perhaps work through countertransference vulnerabilities in current practice. The program will assist participants to become intervention-generative in their own cases. Especially for clinicians unfamiliar with the autohypnotic basis of dissociative symptomology, the treatment of dissociative disorders can be bewildering, frustrating, and taxing to client and clinician alike. Multiple transferences, frequent crises, entrenched patterns of self- (and other) harming behaviors, highly conflicted interpersonal fields, gross cognitive distortions and trenchant dysfunctional beliefs can overwhelm and disorient even the experienced clinician Working with issues of severe and extreme abuse may challenge or shatter the therapist’s basic beliefs about safety, goodness, and meaning, leaving one anxious, vulnerable, and uncertain. - Making “memory work” the purpose or goal of treatment to the detriment of personality integration and functionality. The presenter will discuss effective clinical management, common treatment errors and other issues in the treatment of disorders along the dissociative spectrum. The session will conclude with a videotaped clinical demonstration showing the presenter’s emergency consultation with an acutely and chronically suicidal, chronically self-injuring, dissociative identity disordered client with imminent plans to kill herself. The therapist is seen making rapport with a group of highly oppositional, emotionally charged, self-destructive ego-states and, using techniques drawn from hypnotherapy, along with other direct and indirect techniques, helping the client to metabolize painful affects, shift cognitive frameworks, build expectancy for positive change, and incorporate safety measures. 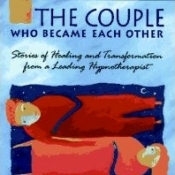 The therapist draws upon a variety of formal hypnotic techniques and phenomena (i.e., hallucination, eidetic imagery, age progression, amnesia, and so on) but also utilizes and directs the client’s dissociative capacities as an extension of the hypno-dissociative working medium. 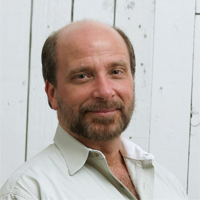 The presenter will share some of his own thoughts and feelings that occurred at critical points in the session as well as field questions and discussion between tape segments. Finally, he will present a four year follow-up on the case. Marital harmony refers to completeness, wholeness, and fulfillment. Marriage strives for peace, nurturing, respect, and kindness, through which a married couple becomes complete. While skilled treatment resources for patients with major dissociative disorders (i.e., dissociative identity disorder, fugue, depersonalization disorder, and so on) are hard to find, resources specifically for spouses and partners of persons living with major dissociative symptoms practically do not exist. Unfortunately, for those living with dissociative disordered partners in treatment, lack of proper information and support concerning their partner’s disorder and treatment can thwart even the most functional relationships and result in unanticipated and unintended outcomes that might have been prevented with useful information. Check out our free downloads page, where you can find full articles and interviews from Treating Abuse Today. Intuition, gut feelings, hunches. . . Call it what you like, we all possess unconscious wisdom. And, as the stories in this book make clear, that wisdom has the power to heal. These extraordinary true stories are typical of the solutions possible when a patient's unconscious mind is brought to the task of healing. 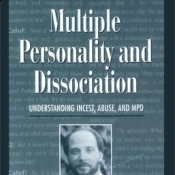 This book, originally a three-part interview in the newspaper Journey, David L. Calof covers subjects such as rage, containment, partners, families of origin, and the difficulty the psychotherapeutic profession has had accepting and understanding MPD.